General 1967-2002 F-Body Tech For general F-Body discussion that does not fit in any other forum. My car has been sitting for about 2 months after it decided it didn't want to fire back up. So i got a new battery and that made it fire up but only for a few seconds then i could no longer hear the fuel pump prime. Then i checked the relay and sure enough its not working. I got a new relay drove it half a block and would you believe it the new relay went out to. I need some help on why this is happening any advice would be greatly appreciated. The question would be - is the relay actually failing (going out), or is there an intermittent problem with the fuel pump relay wiring? The signal side of the relay has a chassis ground, and receives 12 volts from the PCM fuel pump relay control on pin A7 of the PCM to turn on the pump. 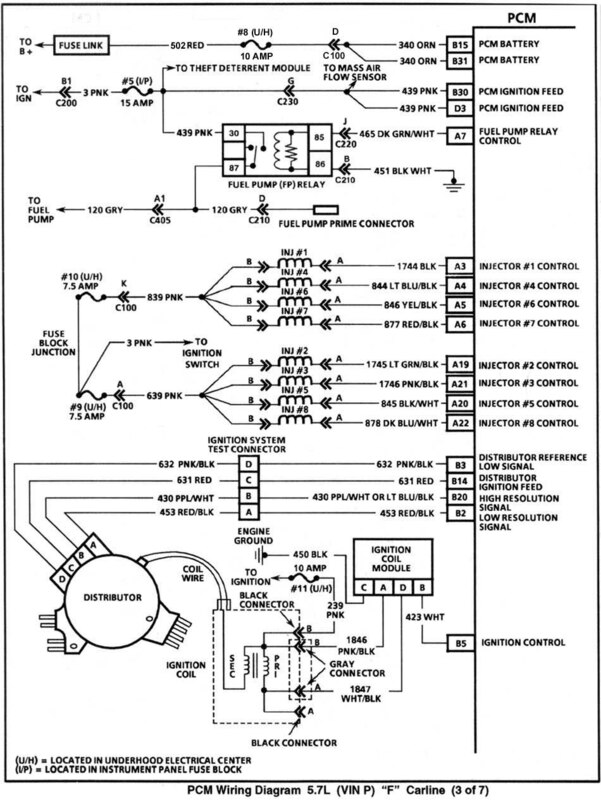 After the pump primes and shuts off after 2 seconds, the PCM has to receive the 50 Hz fuel permit signal from the theft deterrent module, part of the PASS-Key (VATS) system, to restart the pump. The engine may run for a few seconds even if the pump does not restart. If the VATS system fails after the pump has been started, the SECURITY light will turn on constant, and the engine will continue to run, and can be restarted in “fault enable mode”. The load side of the relay receives 12 volts from the same fuse that supplies ignition switched power to the PCM. Yes the fuel pump relay literally fails once it burns out i can smell it and i cant not for the life of me figure out why because the car ran perfect until the 3-4 clutch pack went out then the ignition fuse blew and now this is my new problem. Iam very close to selling this car if it continues. And yes it has the 95 pcm in it and i do believe its been tuned before because i dont have a rev limiter like most people. Does the control side of the relay (pins 85, 86) burn out? That could possibly be shorted wires passing the fuel pump amps through the control side of the relay. Just a wild guess.... nothing I've heard of before. The load sIde is typically good for 30 amps, but the control side isn’t. Is it possible the wiring was damaged or pinched when the trans was repaired? Pink wire has power until the key is turned to the on position and the grn/wht wire has power until the key is on to. But the ground has power and the grey wire has power to. The transmission hasnt been replaced as of yet. Let me see if I can get our resident electrical engineer to take a look at this one. It's more likely the relay socket that is burnt out. Take a close look and see which has the damage. Either that or the load side of the relay (grey wire) has a short to ground, perhaps a wire shorted or the pump is shorted. I don't think there is a problem at the coil side of the relay. Last edited by GaryDoug; 11-06-2018 at 04:30 PM. After some fidgeting with the car i unplugged the pcm and plugged it back in and the relay works and the car fires up for now so is there some kind of short in pcm or is the pcm done for? no power to fuel pump, new fuse, new pump, new relay...now what?